Kevin worked for years at New York City’s largest, most prestigious CPA firms. There, he learned the most sophisticated tax strategies, financial statement auditing standards and how to represent clients in front of the IRS. He also learned how to tie a tie without using a mirror. He also learned how much he hates wearing ties. And working at large CPA firms. Kevin Wenig CPA LLC was formed in 2001 as the anti-CPA firm. You get the big firm experience and expertise with a small firm feel, attitude and rates. Our Clients Are Pretty Big Advocates. We believe we are the ONLY firm anywhere that had custom software specifically written to safeguard client passwords. Passwords are assigned a “sensitivity-level” and only those employees at or exceeding that level will have access to it. The “1992 Option” – We offer a service that promises nothing will be stored online to guard against identity theft. No one can guarantee your information is safe from hackers. Unless, of course, if it’s in a paper file in our filing cabinet and nowhere else! Kevin Wenig CPA has been solving problems – make that challenges – for our clients since 2001. With a team of technology-driven, creative-minded finance professionals virtually down the hall from you, we provide everything you need, from routine bookkeeping to strategic decision-making. 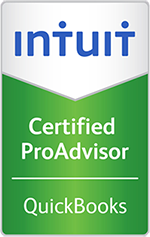 We’re certified Intuit QuickBooks ProAdvisors, a select group of people hired by Intuit to give technology webinars to other accounting firms! Buy the book on Amazon or download it to your Kindle! Did we mention our blog – It’s real-world “don’t do what I did” lessons shared with us—and you—by business owners who’ve been there. The site has thousands of registered users and many more visitors each year! 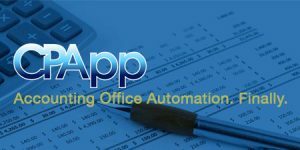 This is our own software we developed to completely automate an accounting office. Nothing like it existed before we came along and now we’re selling it to other CPA firms! 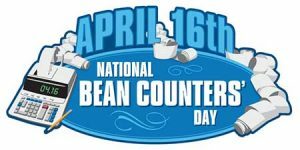 A fun holiday we invented to celebrate your favorite accountant on their favorite day (April 16th). …And it seemed like a good idea at the time. 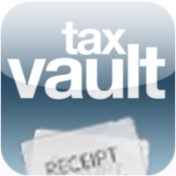 An iPhone app we created that automatically sends your receipts to your tax preparer. Spend it & Send It! Looking for more than a CPA firm? We offer a complete Finance Department solution to attend to the day to day activities. Finance Office Partners is a complete Outsourced Finance Department offering everything you would expect from an experienced, fully staffed team at your fingertips. You get a higher level of service, typically at a lower cost than what you may have in place now.